I have written before about how much I believe in church-wide campaigns – where every small group is aligned with the weekend series for a few weeks. I know that one of the most difficult components of pulling off a successful campaign is finding the right curriculum. I may be bit biased, but I think that I have found a perfect one to kick off the new year. 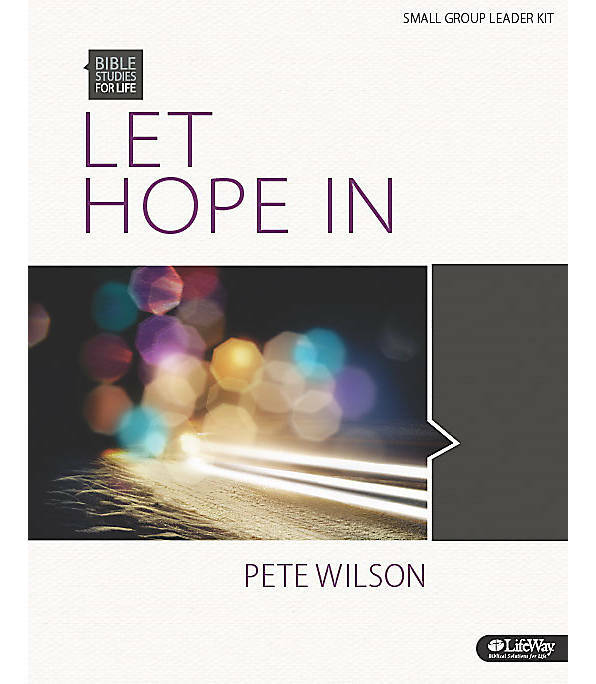 My Pastor, Pete Wilson, wrote an amazing book called Let Hope In, and they have now released the 6 week DVD study to go along with it. Pete was personally involved in writing the small group study because he sincerely believes that life-change happens best within the context of community. In this study, Pete realizes that we’ve all blown it. In fact, he knows that if we stack up enough mistakes, shame, and regret, that any of us could be forever hindered by our past. But Pete realizes and tells us that there’s hope—regardless of our history. We are going to kick off 2014 at Cross Point with this study as an all-church campaign, and I would encourage your church to consider it as well. Click here to check out a digital version of the member guide. If you decide to do this as a campaign in January, please let me know in the comments!